How To Focus With A Personalized Pomodoro Technique - Matteus Magn.. When I started out as an entrepreneur, I was easily distracted by all the notifications around me. I would jump from task to task every 10 minutes, trying to multitask to the best of my abilities. Answering emails, messages, and calls. Little did I know that this approach is highly inefficient. It wasn’t until I stumbled upon the WorkAwesome blog, the book Eat that Frog by Brian Tracy, and most importantly the Pomodoro Technique. 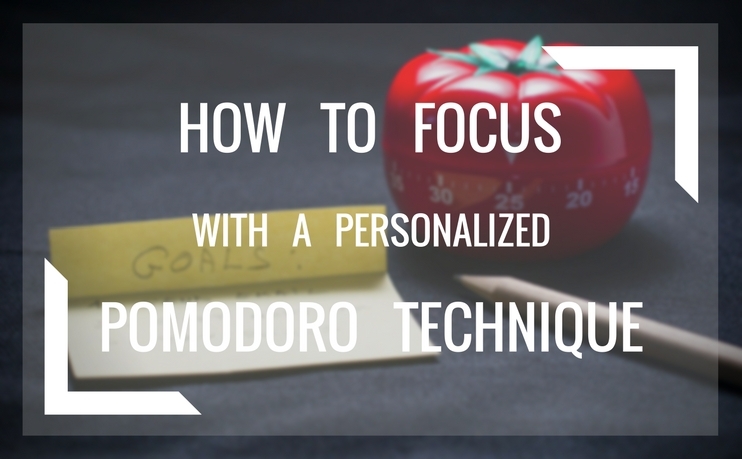 The goal of the Pomodoro Technique is to help you stay focused on one task until completion. The key here is to split a large task into a piece you can complete in 25 minutes. But it’s also to manage distractions well. When you work, study, or do any task for that matter you expose yourself to two types of distractions. The quick solution: Don’t use notifications, at all. Turning off notifications was harder than I thought when I started out four years ago. I wanted to be available all the time, both through email, messages, and phone. Why did I want to be available all the time? Because when I was a student, I appreciated the teachers that replied to my emails fast, like in 10 minutes. But having notifications turned on, you get interrupted all the time and most of the time you don’t have to reply immediately. I found that it’s often enough to respond in the same day. So since then, I have successfully turned off most notifications. I only check email once per day. I turned off all email notifications and the notification sound for instant messages on my phone. I still see if I’ve got a message since the light will blink; the phone is, however, turned upside-down while I work. And phone calls, I almost never answer them except if it’s a client or someone with whom I have scheduled an appointed. I have it easy since I work from home. Thus there are no coworkers to distract me. If you don’t work from home though, there are a few tactics you can employ. While the basic formula works for a lot of people, I found it suboptimal for me. But I still use it every day for the last four years. Because I was much more productive with this formula than any other technique I tried. Too short Pomodoros: For me, 25 minutes bursts of work are too short. I almost never finished one of my tasks I set out to do. One idea is to split the work into two parts, but I often found that I didn’t need two full Pomodoros. Too short breaks: You’d be surprised how many things you can do at home in only 5 minutes. Vacuum-clean one room, do some of the dishes, brush your teeth, etc. But as the breaks were only 5 minutes, except every 4th break, I was stressed to complete the task within 5 minutes. So for me, the breaks were too short to relax. Having short breaks, in turn, made me stressed throughout the workday. I’m a person who likes doing things the right way. So I never changed the Pomodoro technique. Because why change a formula that works for everyone, right? The problem is, as I pointed out, that it doesn’t work for everyone. 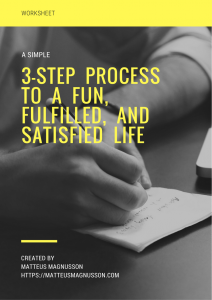 The solution came to me while I listened to a podcast interviewing John Lee Dumas. John Lee also had the same problems as I had with the Pomodoro technique. But he decided to tweak the Pomodoros to be 42 minutes long, and then have an 18-minute break. Why 42 and 18 minutes? 45 minutes seemed too long, and 40 minutes too short. And we all know that 42 is the answer to life the universe and everything. And the Hebrew word for “life” has a numerical value of 18. When I heard John Lee’s solution, I was immediately sold on the idea. But I had some few tweaks I wanted to add. Two weeks before trying the personalized Pomodoro technique I started meditating 1 minute, every half hour, to refocus my mind and energy. First emptying my mind and then refill it with the task at hand. Meditating every half hour made me less stressed. But I could also energize myself through if I felt I became drowsy. There was only one problem. It didn’t work well with the original Pomodoro Technique as I wanted to meditate in the middle of a Pomodoro. But there wasn’t an easy way to add a notification in the middle. Journaling about my day and work was something I wanted to do for a long time. But I never found a good way to make the habit stay. But because this Pomodoro formula always had an extended break, I thought I could incorporate it into the break. All the obstacles led me to create my own Pomodoro recipe. The Pomodoro is still 42 minutes, or 40 minutes if you take into account the meditation sessions. This formula worked great the first week I tried it. Because of the longer format, I could have longer tasks. And most of the time I completed the tasks on time. I also didn’t have to put that much of time into trying to split a large work into tiny pieces. But what really made the difference is the halfway reminder. The reminder allows me to assess where I’m at. Have I been focused the entire time? Have I started to stray from my focus? It also helps me finishing the task in the current Pomodoro. If I’m only 40% complete halfway in, I know I have to be more efficient and focus extra on completing the task. I don’t think it would be possible without the 1-minute meditation, as this is crucial for refocusing my mind. The extended break is phenomenal as I don’t have to stress through household tasks, and I’ve developed a routine for almost all the breaks. And thanks to the extended break I now look forward to journal for 3 minutes. I often include what went well, what didn’t go so well, and what can I do differently next time? If I have a question during the journal, I ask it to the universe. 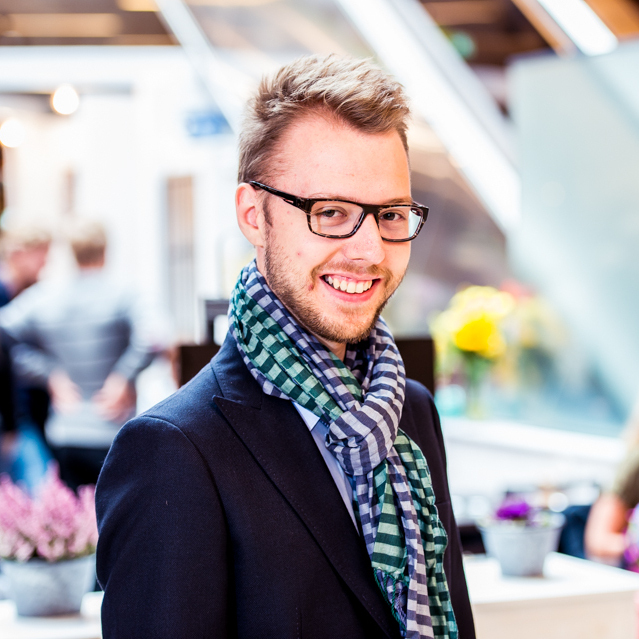 For example, yesterday I wrote: How can I stay focused on one programming task? Asking the question to the ether allows my subconscious to work on it during the break. Since I started using this formula three months ago, I’ve been a lot more productive than when I used the original Pomodoro technique. As this is a slightly more advanced Pomodoro schedule, I use a HIIT timer. While these timers are mainly for workouts, they work just as good for any other task; including my custom made Pomodoro formula. You can of course still use a regular kitchen timer if you want. But if you decide to go with an app, my tip is to change the alarm sound to something pleasant; I just got irritated by the default sound, now I instead get relaxed whenever I hear the sound. As I like to keep things automated, I went a bit further and created a full schedule for my workday. The HIIT program helps me be on track, especially during lunch where I could take up to 2 hours lunch breaks some days. 40 minutes walking outside listening to podcasts. I split this into two parts, so I know when I have to turn around. This totals to exactly 8 hours, or 6 hours 30 minutes work time (including breaks). I found this to be my magic number. This way I’m able to be fully focused even throughout the entire Friday. I’ve found a method that works great for me. But my method might not work for you. For example, a friend of mine, who has trouble concentrating, uses 20-minute Pomodoros with 10-minute breaks. I hope this has inspired you to try out the Pomodoro Technique. And to experiment with different times, and even add other elements such as meditation and journaling. Have you tried the Pomodoro Technique before, and what’s your formula? What ways would you like to customize the formula?